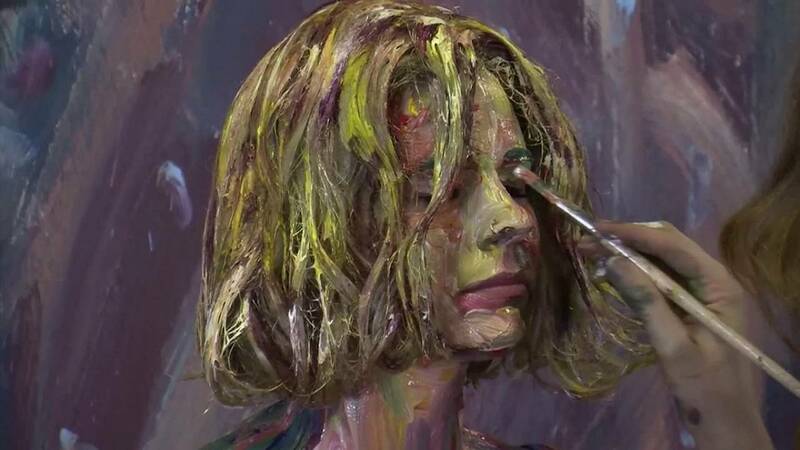 3D may be all the craze, but US artist Alexa Meade is bucking the trend. Her goal is to make the three-dimensional world around her look two-dimensional. She paints directly onto her subjects, from head-to-toe, replicating depth and shadows, before capturing her colourful living canvases on camera. Using just acrylic paint and a brush, Meade creates an optical illusion, causing the viewer to wonder where the painting ends and real life begins. “I paint on people in a way that makes them look like two-dimensional paintings. I paint the shadows as they exist in real life directly onto them. And I also wrap in the background too. The painted person works without the background, but it adds to the effect a lot, to be able to see the figure emerging from the canvas,” she explains. Meade is self-taught and has never studied art. A graduate in political science, she worked as a press assistant on Barack Obama’s 2008 presidential campaign. But then she decided to become an artist, and has never looked back. Christopher Salata is one of her models. “It feels like being in some small way a part of art history, which is interesting because usually art is something that’s non-living, but it’s interesting to be alive and then to be inside of a photograph, that I will know will go inside of Alexa’s portfolio that people constantly check out online and look at. And it’s just neat to feel like I’m inside of a painting right now,” he says. The artist uses a special blend of ingredients for her work, including non-toxic acrylic paint. Due to its ephemeral nature, she describes it as a mixture of painting, photography, art installation and performance art. Obviously, Meade’s “living paintings” cannot be purchased. But thanks to internet, they live on. “When I paint someone for a live art exhibit, obviously the artwork has to go home at the end of the day to shower and it’s all over. And so I take a lot of photos to capture the spirit of the artwork and in that way it’s able to live forever,” she says. Ever pushing the limits, the young artist has even experimented by painting on one of her subjects and then submerging her in a pool of milk. Alexa Meade’s stunning artwork has been exhibited in galleries around the world, including the Smithsonian’s National Portrait Gallery in Washington D.C., the Saatchi Gallery in London and The Grand Palais in Paris.